I care deeply about increasing diversity in tech companies and in open source communities. I believe that improving diversity requires both cultural change and sponsorship of diverse contributors. I approach all clients with empathy and seek to understand their community’s needs. I’m happy to share my knowledge with articles, blog posts, and scientific studies to help clients understand the lived experiences of under-represented groups in tech. 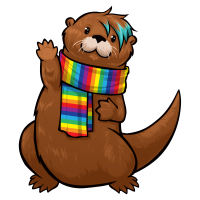 If you’re looking for a person to have an open and insightful conversation about diversity and inclusion, consider working with Otter Tech! I currently offer Code of Conduct incident response training for community moderators and event volunteers who respond to Code of Conduct violations. I also offer diversity consulting for tech companies and open source communities. I founded Otter Tech in 2016, after working for over ten years as a systems software developer. During my tech career, I wrote and maintained the Linux USB 3.0 host controller driver, and I was one of the top 100 Linux kernel contributors. My spare time open source projects included working on Arduino garden moisture sensors and open hardware amateur rocket sensor nodes. I’m the winner of the 2015 Red Hat Women in Open Source Award and the 2016 O’Reilly Open Source Award. As I stepped into a more senior software development role, I became passionate about mentoring, creating inclusive communities, and promoting diversity in tech. In 2013, I became the Linux kernel community coordinator for the Outreachy internships. Outreachy is a three-month remote paid internship program for people traditionally underrepresented in tech. I personally created a tutorial for submitting your first kernel patch, which lead to a 166% increase in women Linux kernel contributors. In 2014, I moved from being a Linux kernel Outreachy community coordinator to become an organizer for the overall Outreachy program. Through guiding Outreachy mentors, I developed a framework for the steps an open source community can take to become more inclusive and attract diverse contributors and employees. In January 2016, I gave a Southern California Linux Expo (SCaLE) keynote on diversity in tech. In May 2016, I decided to make diversity and inclusion my full-time job, and I opened a consulting business, Otter Tech. You can read more about the kinds of diversity and inclusion topics I tackle through my Diversity Deep Dives mailing list. Clients often come to me because they’ve tried many different ways to improve diversity, and it hasn’t had the results they wanted. Other clients need an expert to handle sensitive and complex topics. Creating inclusive communities, attracting diverse contributors, and retaining them is tough. I can work with you to develop a plan to make your community or company more diverse and inclusive. I currently offer Code of Conduct incident response training for community moderators and event volunteers who respond to Code of Conduct violations. I also offer diversity consulting for tech companies and open source communities.